Think your wedding gown will only be worn once? 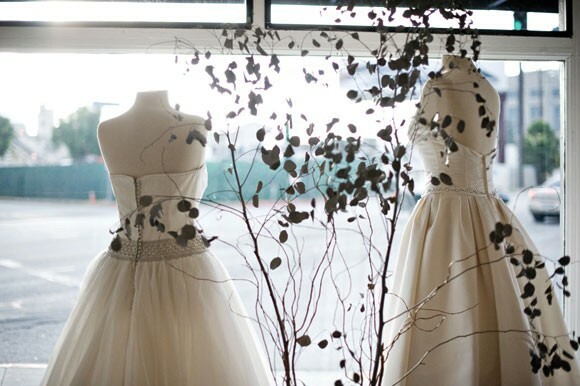 Find a second go-around for your gown at West L.A.’s White Magnolia. This unique consignment boutique was created by co-owner Carolyn Tao after she got married in 2010 and didn’t know what to do with her gown. A big fan of consignment, she searched high and low with none to be found inLos Angeles. “We look for dresses that are fashionable, couture quality and in impeccable condition,” states Tao. With an average of 150 dresses in stock and new ones arriving each week, White Magnolia carries many of the major designers, including Vera Wang, Monique Lhuillier, Reem Acra and more, with prices beginning at $700. It’s a winning situation for all as budget-challenged brides looking for a designer gown are afforded a luxury bridal salon experience, while brides just married can recoup some of their hard-earned dollars.